Handcrafted quality combined with innovative technology and great sense for attractive design – that´s what the brand Duravit is standing for. To meet the customer´s requirements for a nice design which became more and more important during the last years, the international acting manufacturer develops its collections in cooperation with famous designers. This helped Duravit to win a large number of design prices. In addition, latest technologies, age group-specific needs and last but not least sustainability are very important factors for Duravit. State-of-the-art production methods cause a very environmentally friendly handling of natural resources. Amongst other thing, Duravit is prestigious manufacturer of bathroom furniture and ceramics like bath tubs, washbasins, WCs and many other bathroom products. Faucets, accessories and wellness products like whirlpools and sauna complete the product range and make Duravit a complete bathroom supplier. Founded 1817 as a stoneware manufacturer in Hornberg in Germany, Duravit was called by another name and primilary produced dishes. Since middle of 19th century Duravit began manufacturing sanitary products. This was the basis for today´s success. In 1960 the company received its name „Duravit“. Today the manufacturer operates 12 production facilities worldwide. But the company never forgot its traditional heritage and the craftman´s precision which is typical for the Black Forrest craftmen. 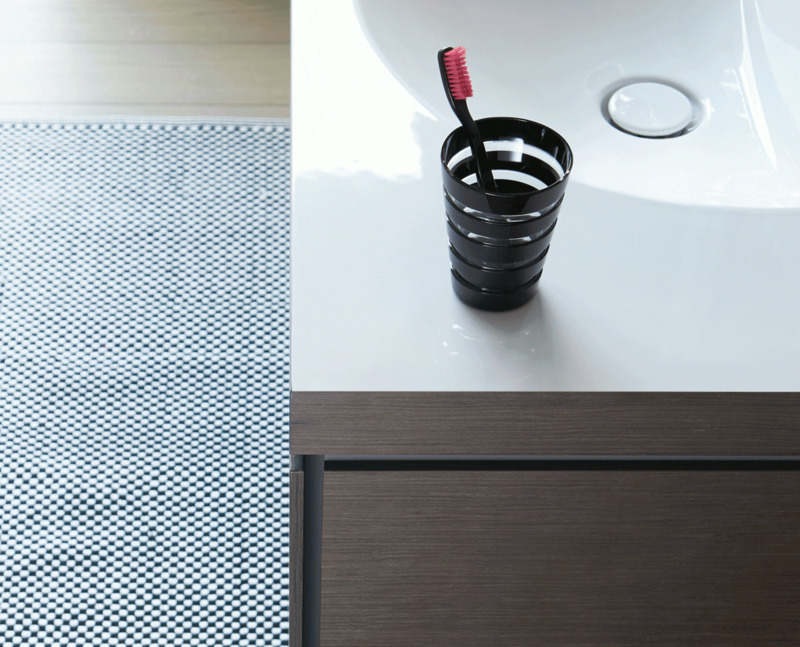 WHAT IS SO SPECIAL ABOUT DURAVIT PRODUCTS? The DuraSolid® solid surface developed by Duravit is particularly suitable for the production of bathtubs and shower trays and for the realization of new forms. The material is characterized above all by its longevity, its high stability and its slip resistance. DuraSolid® consists of predominantly natural materials, including resin as a natural binder. After casting the mold and drying, the bathtubs in the polishing booth are given their final finish. It creates tub body without joints and seams, which have a matte finish with a gentle haptic. Thanks to the homogeneous material, it is also possible to repair it in the event of damage and the repaired place remains invisible if it is carried out professionally. HygieneGlaze®: Is a long-term ceramic glaze that removes pathogens by 99.9 percent within 24 hours. The tin-zinc mixture is integrated into the ceramic during the firing process and acts on the bacteria and germs toxic, so that they are killed. The toilet remains clean and germ-free in the long term, without having to use large amounts of detergents and disinfectants. 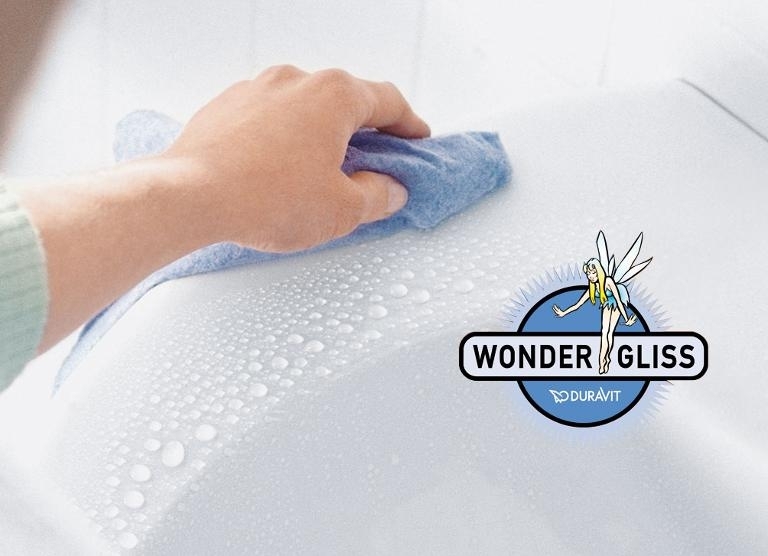 WonderGliss: Dirt and lime have no chance on the WonderGliss coating. On the smooth surface they are simply washed away with the water and cannot stick. Cleaning is very easy: a soft and clean detergent is sufficient. 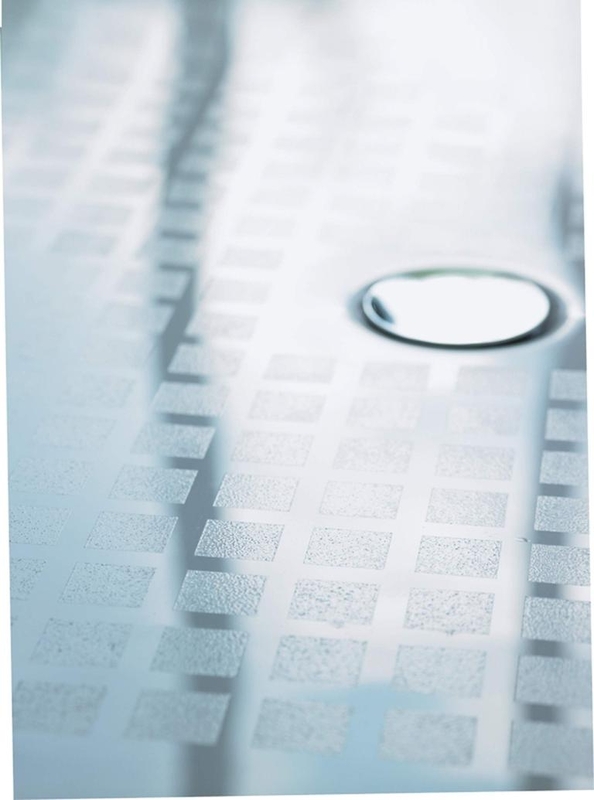 Antislip: The coating is transparent, but perceptible, and prevents that someone slips in the shower tray. When cleaning shower trays with this coating, aggressive and abrasive cleaners as well as scratching and hard sponges should be avoided. c-bonded: Thanks to c-bonded technology, the washbasin and substructure merge seamlessly with each other. The piece of furniture starts right where the ceramics stops. The basis for the c-bonded versions are the L-Cube furniture. These can be combined with the ceramic series Darling New and Vero Air. DuraFix: WC and bidet can be fixed very quickly and easily. The attachment remains completely invisible and disappears behind the toilet or bidet. It remains a smooth ceramic surface without disturbing openings and screws. Even half-columns under washbasins can be easily attached with DuraFix. Duravit Rimless®: Thanks to Duravit Rimless®, a combination of an open flush rim and powerful water supply in the toilet is made possible. 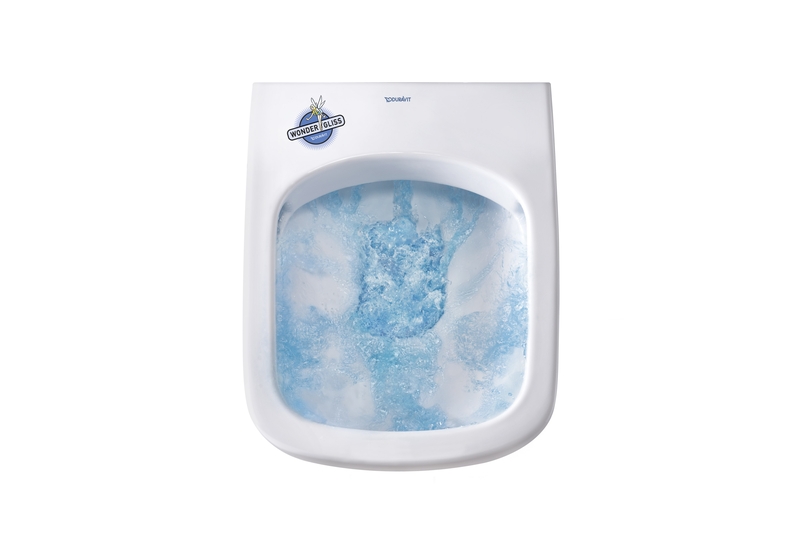 The water flow first runs in a circle around the toilet sink and then runs vertically and flushes in this way the toilet bowl completely. Even with small flush volume a clean toilet is guaranteed. 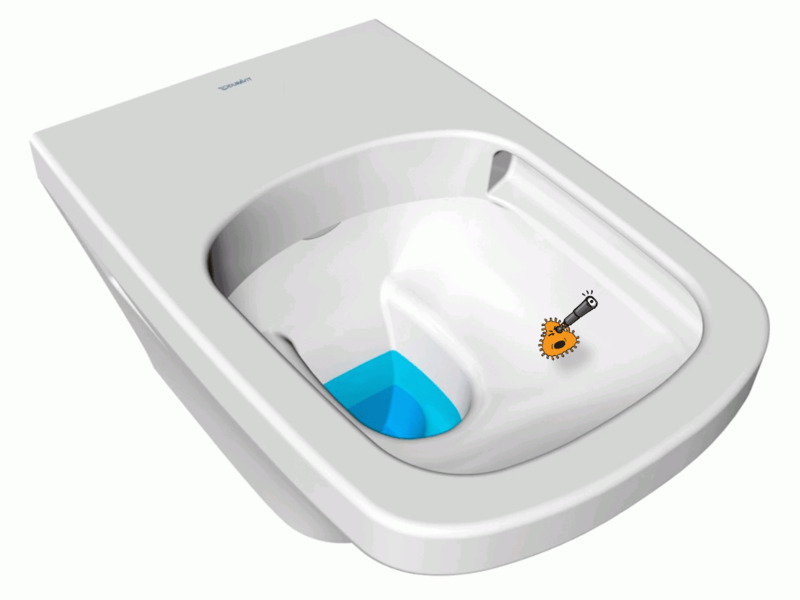 The open edge area also ensures easy cleaning of the toilet bowl.